The new Russian proposal to avert a US military strike on Syria has been welcomed by Britain and Germany. Russian Foreign Minister Sergei Lavrov on Monday called on Syria to join the Organisation for the Prohibition of Chemical Weapons and put its chemical weapons storage facilities under international control. 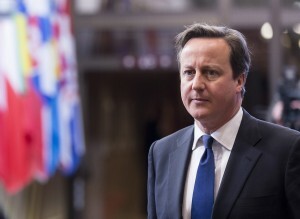 “If that were to be the case it would be hugely welcome,” Mr Cameron said addressing British lawmakers. “If Syria were to put its chemical weapons beyond use, under international supervision, clearly that would be a big step forward and should be encouraged,” he added. German Chancellor Angela Merkel warned against this being a “time-buying tactic”, but said Germany will support the Russian proposal. “Today there was an interesting proposal from Russia, which called on Syria for the first time to place its chemical weapons under international control,” said Merkel on German television. “If this is followed by action and not about buying time and this materialises, then Germany will push for that road to be followed,” she added. Merkel reasserted on Monday that “Germany will under no circumstances” be part of any military strike on Syria. Syrian Foreign Minister Walid al-Muallem, said in Moscow, ”The Syrian Arab Republic welcomes this initiative to remove chemical weapons to ensure the safety of our citizens and the security of our country”. US President Barack Obama said the Russian proposal was a “potentially positive development”. However, reports suggest President Obama is expected to go ahead with a televised address on Tuesday to convince US voters and Congress that there is no alternative to a military strike.